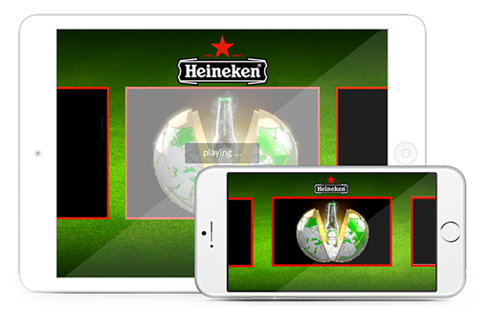 Unleash the true power of interactive marketing with the new Dreamoc Play App! This app was specially designed to help you amaze your clients. Now you can create and display powerful product and brand presentations. You can cleverly combine the image of your product with superb animated effects. With Dreamoc Play, your clients will enjoy much more than a simple presentation – they will share an interactive experience they’ll never forget! The Dreamoc Play App is available in two versions: a free one and a Pro version. They both work similarly. The free version allows you to experiment and check out the Dreamoc potential for creative presentations. The Pro version allows users to completely customize and brand the interface. You can essentially remove all Realfiction logos from presentations in order to focus the entire attention of your audience on your brand, your products, your logo. Therefore, you can deliver a more powerful brand message. You can download the free version of the Dreamoc Play App on any iOS device, right now. Discover and experiment with the Dreamoc creative potential! You can start creating amazing holographic, 3D presentations for your brand in a matter of minutes! The Dreamoc Play App allows you to upload an infinite number of videos to the playlist. Each video is a new opportunity for your clients to interact with your brand or find out about your products. 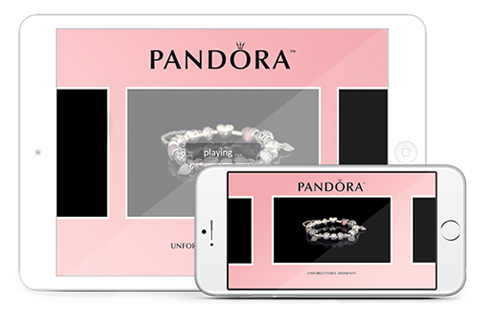 For example: your clients can browse through a 3D version of your catalog or they can interact in real time with your presentation. The Pro version of the Dreamoc Play App allows you to create a unique, custom made user interface. This way, you can focus all the attention of the public towards your own brand. The App allows users to create a customized screensaver. This will play automatically inside the 3D Dreamoc display if the system is inactive for more than 5 minutes. This means that the display will work non-stop to promote your brand image, even when it is on stand-by. You can create your own thumbnail video gallery. This can easily be accessed by all device users. A simple tap on the corresponding thumbnail will start a different 3D video on your Dreamoc display. It’s simple, elegant, intuitive. Your iOS device will play a default screensaver video if it hasn’t been touched for 5 minutes. With the Dreamoc Play App, you can replace the default screensaver video with a customized one. Once again, we offer you a chance to awe and amaze your clients and visitors. You can even use this opportunity to encourage your visitors to interact with the device if it is now used. Genius! Users can scroll through the video gallery while a video plays on the Dreamoc display. They can also actively interact with the presentation, choosing which video will play next. This simple feature makes each user, visitor or potential client feel like he is in control of the content that you display. This simple trick increases engagement and triggers brand loyalty.